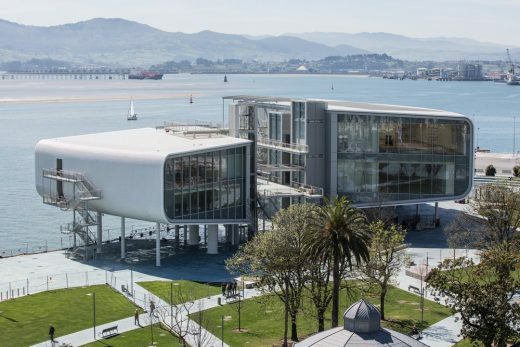 Centro Botín, designed by Pritzker Prize-winning architect Renzo Piano as a permanent home for the art, cultural and educational programmes of Fundación Botín, Spain’s most important private cultural foundation, will open in Santander on Friday 23 June, it was announced today. This will be the first building by Renzo Piano in Spain. 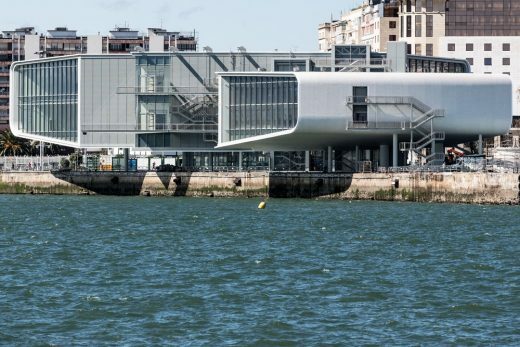 The 10,285 sq m. Centro Botín is located on a landmark site on Santander’s waterfront, reclaiming for the city an area formerly used as the Ferry car park. 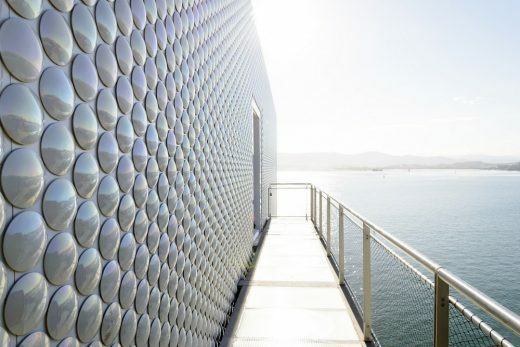 The building, raised above the ground, frames spectacular views of Santander and the bay and is covered with a unique surface of 270,000 ceramic discs that reflect the changing colours of sea and sky. The building includes 2,500 sq m. of exhibition galleries, a 300-seat auditorium, classrooms, work spaces, an informal restaurant called El Muelle, created by two-Michelin star chef Jesús Sánchez, a shop, and a rooftop terrace offering a new vantage point overlooking the city and the bay. Centro Botín is set in the historic Pereda Gardens, which, as part of the development, have been completely restored and extended, in a project led by landscape designer Fernando Caruncho in collaboration with Renzo Piano Building Workshop. The gardens are now doubled in size to an area of 9.884 acres, providing a beautiful new public space, a setting for public art, and linking the city centre with the waterfront. Centro Botín will open with three major exhibitions, Carsten Höller, Goya and works from the permanent collection of Fundación Botín. The opening will be marked by the inauguration of a permanent sculptural intervention by Cristina Iglesias. • There will be a special exhibition, curated by Vicente Todolí and Udo Kittlemann, members of Fundación Botín’s Visual Arts Advisory Committee, of the work of the internationally acclaimed artist, Carsten Höller, his first show in Spain. Famous for his dizzying slides, and playful interactive installations, the exhibition will feature new works alongside a selection of well-known works, some specially restaged for the Centro Botín including Elevator Bed (2010). Visitors to the exhibition will be able to book a night in Elevator Bed, equipped with all the comforts of a luxury hotel room, experiencing the rest of the exhibition as the bed rotates and goes up and down, rising up to 3.5 metres above ground. Alongside the exhibition Carsten Höller has created a new site specific light installation, 7.8Hz, commissioned by Fundación Botín for the Pereda Gardens, and active from sunset to sunrise. • Reflecting the pioneering work of Fundación Botín in the field of research into the drawings of Spain’s great artists from the 17th century to the present day, there will be an important exhibition of 80 drawings by Francisco de Goya, selected from the Museo del Prado’s world famous collection. ‘Agility and Audacity. Goya Drawings’ is curated by José Manuel Matilla, Head of the Museo del Prado’s Department of Prints and Drawings; and Manuela Mena, Chief Curator of the 18th century Painting and Goya section of the Museo del Prado, a member of Fundación Botín’s Visual Arts Advisory Committee. The exhibition coincides with the publication of the first volume of the catalogue raisonné of Goya’s drawings, a five year programme of work developed in a unique collaboration between the Prado and the Fundación Botín. • A first selection from the permanent collection of the Fundación Botín will feature works by artists who have directed a visual arts workshop over the past fifteen years, as well by recipients of the foundation’s visual arts grants. These include Lara Almarcegui, Miroslav Balka, Carlos Bunga, Tacita Dean, Carlos Garaicoa, Mona Hatoum, Antoni Muntadas and Juan Uslé. Spain’s internationally renowned artist, Cristina Iglesias, has designed a permanent sculptural intervention for the surroundings of the Centro Botín and the Pereda Gardens, constructed in stone and steel and flowing water, entitled Desde lo subterráneo (From the Underground). The programme is developed by Fundación Botín’s Visual Arts Advisory Committee under the leadership of its President, Vicente Todolí, former Director of Tate Modern, and Benjamin Weil, Artistic Director of Centro Botín. Other members of the Committee include Paloma Botín, Udo Kittelmann, Manuela Mena and María José Salazar. Centro Botín is directed by Fátima Sánchez. In the fall, Centro Botín will present a survey exhibition of works by Julie Mehretu, curated by Vicente Todoli and Suzanne Cotter, director of Museu de Arte Contemporaneo Serralves, with whom the exhibition has been co-produced. 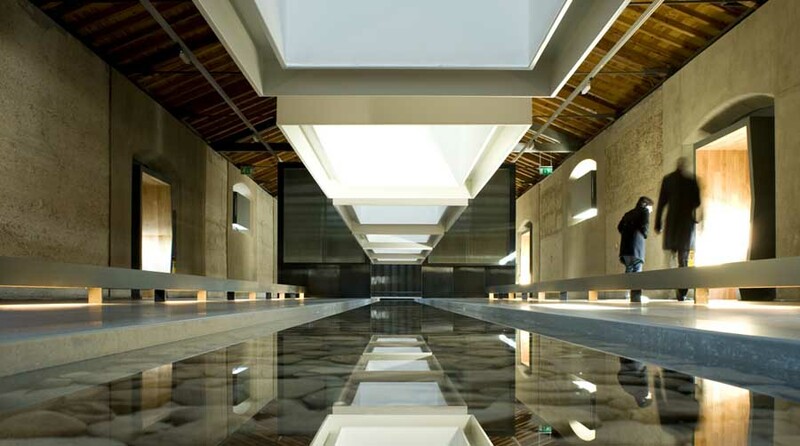 Centro Botín will be a beacon for the continuously growing cultural and educational work of the Fundación Botín in Spain which began in the 1980s, and includes exhibitions by major international artists, focus exhibitions from the Fundación Botín’s collection of contemporary art, and regular showings of work by younger generation artists involved in the continuing programme. Fundación Botín’s workshop programme, which has existed for over two decades, brings major artists to Spain to mentor young artists, and to then exhibition their work in the foundation’s exhibition space – as of now, at Centro Botín. Recent participants in this programme include Joan Jonas, Julie Mehretu, Carlos Garaicoa and Tacita Dean. Centro Botín will also be home to the Fundación’s acclaimed educational activities, created in collaboration with Yale University, focused on the role of the arts in developing emotional intelligence and encouraging people’s creative capacities, through workshops, seminars, courses and learning activities.